Consisting of three charismatic covers, ‘Lonesome LA Cowboy’ encompasses decades, genres, and even international borders. Tapping faithfully into an era that ended well before their births, Mapache’s performances here conjure up dry desert breezes and lush coastal canyons with a distinctly southwestern brand of harmony-driven folk and country that’s at once vintage and contemporary. 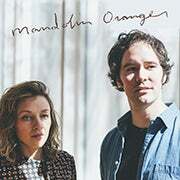 The pair relies on nothing more than acoustic guitars and enchanting vocals to work their magic, pulling influence from the architects of American roots music as well as formative years spent living in Mexico and filtering it all through modern, youthful sensibilities. It’s music with little regard for boundaries or barriers, reverent of the past but fully immersed in the present. Recorded in a similarly stripped-down fashion with producer Dan Horne (Cass McCombs, Allah-Las), Mapache’s self-titled debut introduced the duo’s timeless songwriting and airtight harmonies, earning obvious comparisons to The Louvin Brothers in addition to more cosmic keepers of the flame like Graham Parsons and the Grateful Dead. Aquarium Drunkard hailed the duo as “a blazed up Everly Brothers” and raved that “the LP faithfully radiates the intimate warmth of their live shows,” while No Depression said the album “weds lilting melodies to lyrics that often extol the beauties of nature,” and Saving Country Music declared that the duo “can fill up a room with more soul soaring harmony than most symphonic assemblies.” The music helped earn the band festival appearances from Pickathon to Mountain Jam as well as tour dates with Chris Robinson, Nikki Bluhm, Beachwood Sparks, and more. Though Mapache (Spanish for “raccoon”) only recently began recording, the duo’s roots stretch all the way back to high school, where Finch and Blasucci struck up a friendship over a shared love of skateboarding and classic songwriters. After graduation, Finch headed north to study music at Chico State (birthplace of The Mother Hips, who recently invited Mapache to perform at their beloved Hipnic festival in Big Sur), while Blasucci headed South to Mexico, where he served as a missionary for two years. 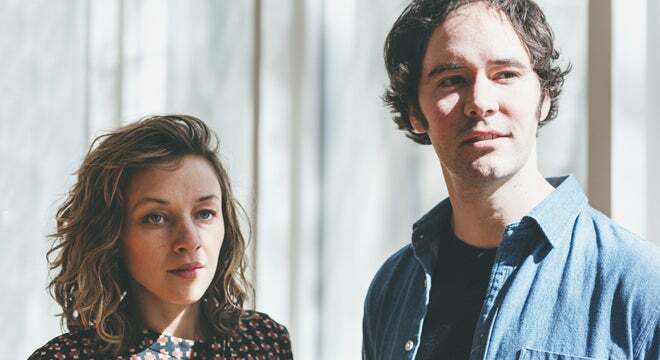 Their sound is not an exercise in pop nostalgia, but rather a distinctly independent link in a chain that stretches far behind and ahead of them.